Operation Ducksledge: Corporate Desktop Support using msra and batch files. 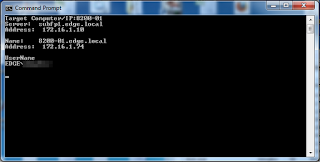 Corporate Desktop Support using msra and batch files. Entirely local. The aim was to support machines on the internal network so there's no need to rely on external hardware/software. All our hardware is tagged, so it turns out it's pretty easy to offer basic remote support with one Astoundingly-Simple batch file and a few changes to group policy. That's all you need at a basic level - type in the computer name and it launches the remote assistance tool. echo Offering assistance to %target% at %date% %time% >> "%logfile%"
Requests the network name of the computer from you. If all your machines are tagged you'll have no problems. All nice and simple, just changing a few settings and adding the users/security groups you wish to have access. 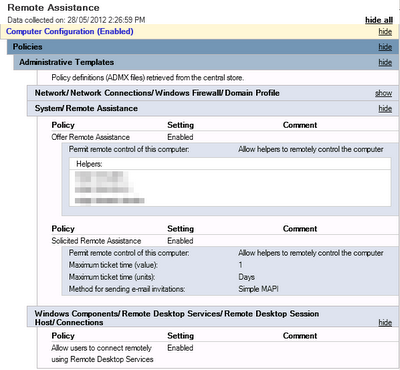 This just punches a couple of holes in the firewall for both Remote Desktop and wmic. 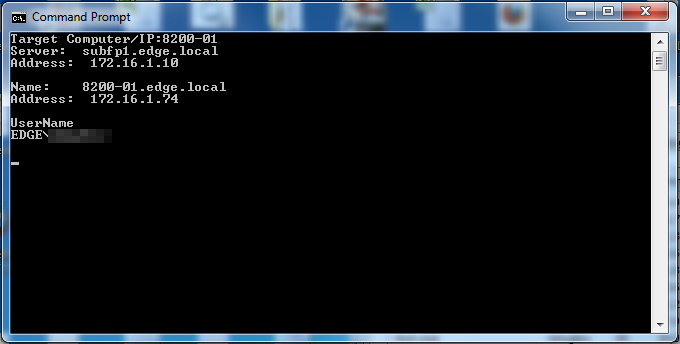 While I set mine to allow localsubnet you can easily lock yours to a specific IP range instead. Apply the policy to all the company computers and you're done. The user gets a popup requesting access to their computer, and when they accept you get remote access. simple, supported, and done entirely using the software baked into windows. This doesn't really work for terminal servers. Enable session shadowing on the server to get the same effect. This was tested and used shortly after we finished migrating to Windows 7/2008. It probably wont work out-of-the-box if you've got XP machines mixed in. It is possible to do this in reverse, with a user running a batch file that requests assistance from tech support. It's a bit trickier to set up if you want to minimise user options, but it works.